Folli Follie – Win a £500 Christmas Wish List? Folli Follie are a beautiful brand with so many lovely items, making it really easy for me to create my own Christmas wish list. I would love to receive any of their items and some of my lovely readers also have the chance to win some Folli Follie treats by putting together their own wish list of Folli Follie items. To enter you will need to create a board on Pinterest showing your own Christmas wish list of Folli Follie items. Once completed tweet about your board and you can win the entire list, up to the value of £500! You can read all about the competition and T’s & C’s here. What an amazing Christmas winning that would be! 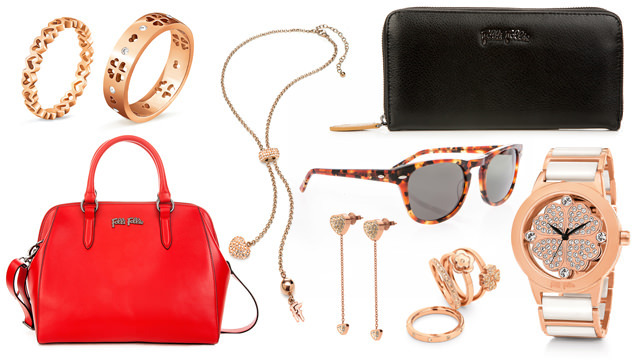 Here are the items that really stood out for me on the Folli Follie website, can you tell I’m a fan of Rose Gold? My favourite item is the much desired Nomad Bag. This gorgeous leather bag is available in three colours, red, orange and black and I would definitely go for this brilliant, bold red. The oversized Nomad Bag is so functional, being able to be used as a handbag or with a carry strap. It features a central zip design and small internal pockets that will be perfect for keeping your handbag tidy and all your daily essentials safe. Such a beautiful bag to add a pop of colour to any outfit! As mentioned above, Folli Follie are giving my readers the chance to win your entire wish list, up to the value of £500, this Christmas! Go to Folli Follie for full details and good luck. If you could win one Folli Follie item for Christmas, which would it be?